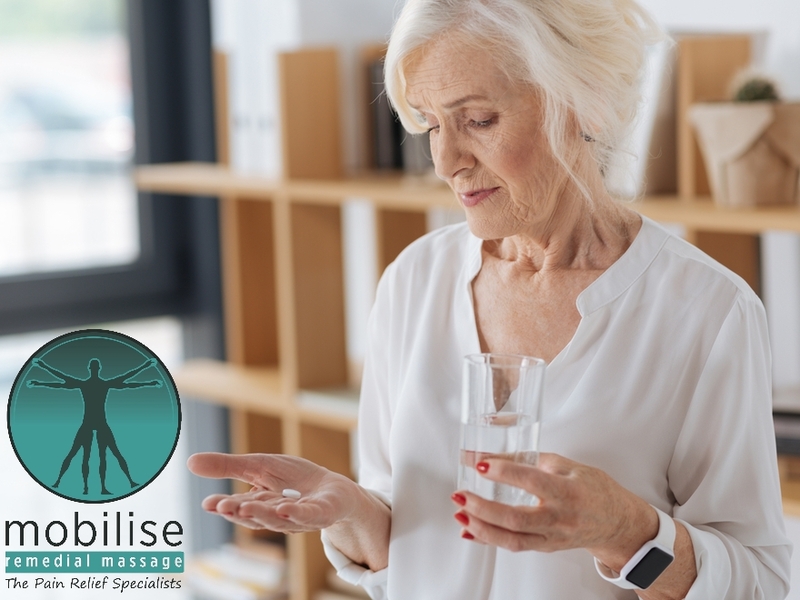 Here are some pain management strategies our Myotherapists have come up with to deal with the new restrictions to buying codeine over the counter in Australia. Remember, always consult with a GP, who can work with one of our Myotherapists to create the best management strategy for you. 5 Easy Ideas for Chronic Pain Management without using Medication. The idea of gentle, low-level exercise to combat pain is based on the idea that when you are in a chronic pain state, the neural system (the part of your body that signals and experiences pain) does not respond appropriately to normal activity anymore. It wants to PROTECT YOU FROM EVERYTHING, because it is no longer sure of what is a “good stimulus” (such as movement) or what could hurt you further. 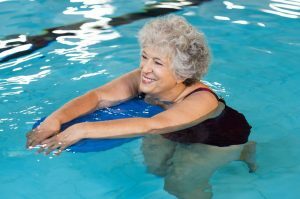 Retraining this system to allow safe movement, like starting gentle walking, pool activates, yoga, mild weight training can begin the process of breaking the pain feedback loop. One of the ways that the muscle system deals with pain is to increase tone, and shorten in length (contract). If you’ve been in pain for a long time, the muscle/nervous system readjusts its “normal” to the shortened muscle state. This means that your brain will try and keep the muscles at the “new” length and tone, leading to many possible issues with joints, tendons and the muscles themselves. These issues may come on top of your chronic pain from something else, or it may lead to that chronic pain state – it’s a nasty feedback loop! One of the ways to begin to break that loop, is gentle stretching. If it’s your neck and upper back, stretch your upper traps, and neck extensors (like the picture). Or if it is your lower back, see some great stretches here. If you would like specific advice on which stretches would be best for you, come and see one of our Remedial Massage or Myotherapists today. The use of heat packs or hot water bottles for pain management has been around for thousands of years. With thermal baths, hot compresses, or even just warming hands by the fire, humans have always used heat to soothe painful body parts. While a chat to your doctor is always advised to ensure that heat won’t exacerbate your condition (some autoimmune conditions don’t do well with any temperature extremes for example), gentle heat application can be very beneficial on achy and tight muscles, osteoarthritic joints, and sore necks and backs. Ice can also be a great pain reliever – used mainly for inflammation and swelling; for injuries such as strains and sprains. Use heat packs or ice packs for around 20mins on the affected area, at least once a day while in pain. Pain is a product of stimuli to the nervous system. It functions to alert you to injury, or the possibility of injury. When the nervous system has become “upregulated” (through long term pain, stress, illness, anxiety, trauma etc), pain alerts become louder, more frequent or even constant (and don’t always match the level of injury). As the nervous system can be “down regulated”, through a number of techniques (such as relaxation techniques, heat or exercise), Myotherapists suggest the use of relaxation as a therapeutic tool. 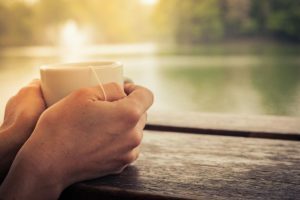 Whether it be meditation, yoga, chilling on the back deck with a cuppa, or going for a gentle walk to listen to the birds – allowing your brain a rest from the constant buzz of life will drop the nervous system firing and allow it to turn down the volume and intensity of your pain. Try and fight for 20 mins a day to relax, however you do that best. Myotherapy and Remedial Massage work to address pain in two major ways. We assess the musculoskeletal cause of your pain, and treat/rehab it accordingly. This may happen through a variety of techniques, but there will always be a large component of hands on work done for you. By addressing the cause, we aim to stop the continuing pain stimuli. We use massage as a way to down-regulate your nervous system pain response. I.e. we use safe, gentle touch to relax you (and in turn your autonomic nervous system), to allow a space where your brain will create positive pathways about your treatments (including the more advanced techniques like joint mobilisation or muscle energy techniques) which create longer lasting effects. So have a go at some of these options to manage your pain naturally and drug free. 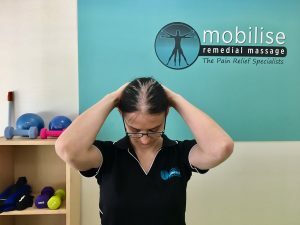 If you’d like one of our highly trained and experienced Myotherapists to work with you to get you back to a pain free life, please give us a call at our Toowong, Brisbane Remedial Massage Clinic. Or Book Online now!